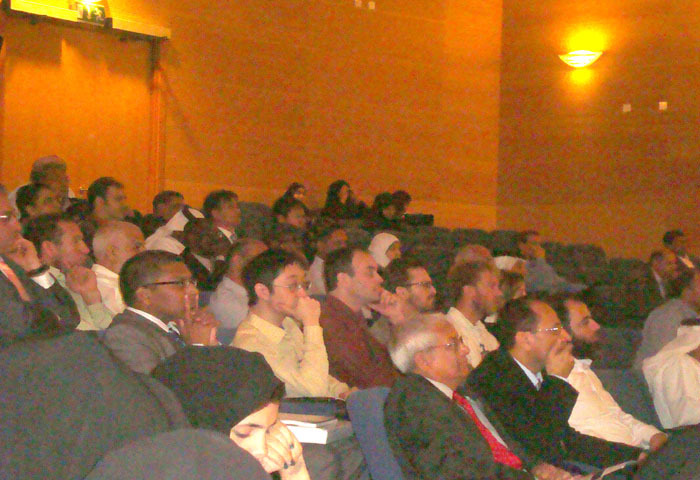 The third International Conference on Nanotechnology was held in United Arab Emirates on November 28-30, 2011. 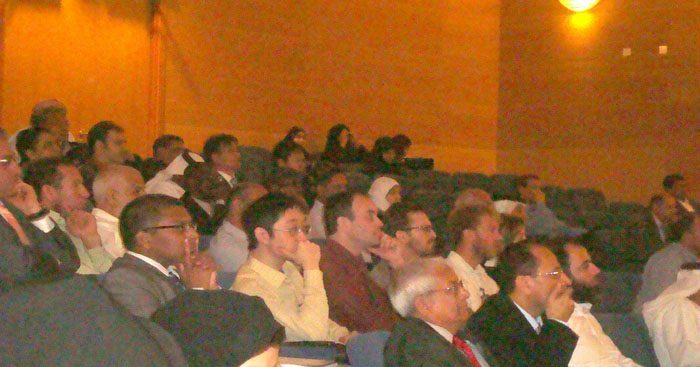 The event was jointly organized by the Commission on Science and Technology for Sustainable Development in the South (COMSATS); the Islamic Educational, Scientific and Cultural Organization (ISESCO); National Science Foundation (NSF) of USA; and COMSATS Institute of Information Technology (CIIT), and had the support of Arab Academy of Sciences (AAS) and the International Association for Sharing Knowledge and Sustainability (IASKS) of Canada. The United Arab Emirates University (UAEU) hosted the Conference in Al Ain. In his message, the Executive Director COMSATS, Dr. Imtinan Elahi Qureshi, considered nanosciences as one of the fastest growing multi-disciplinary fields of science wit h the potential to change the world in many ways, and making an impact on a variety of scientific disciplines including, but not limited to, medicine, healthcare, electronics, telecommunications, renewable energy and environmental preservation. He noted with pleasure that the International Conference on Nanotechnology had brought together some of the best international experts from all parts of the world having a wide spectrum of backgrounds and perspectives. The event served as a forum for researchers and scientists to assess Nano- and Micro-technologies for emerging applications and their prospects in the region. Also, entrepreneurs and venture capital managers were given an opportunity to discuss collaborative research and business development. The Conference integrated three distinct themes: (a) Emerging research that focuses on the applications of Nano- and Micro-technologies; (b) Venture investment that takes the results from the laboratory to the product; and (c) University and research agencies that foster the development of feasibility studies at its institutions. The Conference comprised 6 technical sessions featuring keynote addresses by Dr. Charalabos C. Doumanidis (Arlington, USA); Prof. Mohamed Henini (Nottingham, UK); and Prof. S. Ismat Shah (Newark, USA). Additionally, around 115 speakers from across the globe deliberated on various topics relating to the main theme of the event. The scientific topics covered in the Conference had a bearing upon various fields, such as biotechnology, materials, energy, medicine, and food. These topics included: Nano-and Micro-Fabrication and Fluidics; Modeling Micro/Nano-systems; Bio-nano Materials and Tissues; Bio-sensors and Diagnostics; Bio-markers and Nano-particles; Cancer Nanotechnology; Drug Delivery and Therapeutics; Nanotech to Neurology; Polymer Nanotechnology; Carbon Nano-structures and devices; Nano-particles and Applications; Environmental applications; as well as, Composites and Interfaces.